It is with a heavy heart that the family of Kevin Barker announces his passing on October 11, 2018. Kevin was born in Saskatoon, SK on March15, 1966. He leaves to mourn his passing his daughters Shandelle Body (Aaron Smith) in Calgary, AB and Alexa Barker in Thompson, MB; twin grandsons Liam and Aadyn Smith; partner Corinne Body in Calgary, AB; sister Cherida Olson (Murray Giezbrect) in Winnipeg, MB; and mother Margaret Barker in Luseland, SK. Kevin was predeceased by his grandparents Vernon and Joan Barker of Luseland, SK. He will be fondly remembered by countless aunts, uncles, cousins, and many, many friends in Manitoba, Saskatchewan, and Alberta. Kevin was cremated in Calgary, AB and his remains will be laid to rest beside his grandparents in Luseland, SK. No funeral arrangements are pending, but a Graveside Memorial by the immediate family will occur at a later date. 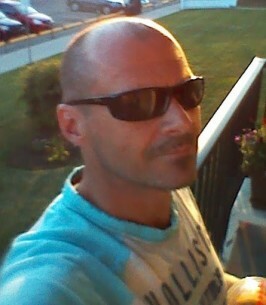 To view and share photos, condolences and stories of Kevin please visit www.choicememorial.com. Arrangements entrusted to the care of Choice Memorial Cremation & Funeral Services (403) 277-7343. I love you Kevin, i miss you SO SO much. See you on the other side my sweet loving caring gentle brother... you are loved by many. i could write so much more...my heart is truly broken....I love you kevin and you will always be remembered with smiles in my heart and on my face. Our time together will never be forgotten....ever. Sweet dreams and bigs hugs to you Kevin.